Purchases for the day...shower curtains and rings. Very exciting I know. Plus 3 great white matted frames to hold the monogrammed letters I got from This Young House's shop. Can't wait to get those in. 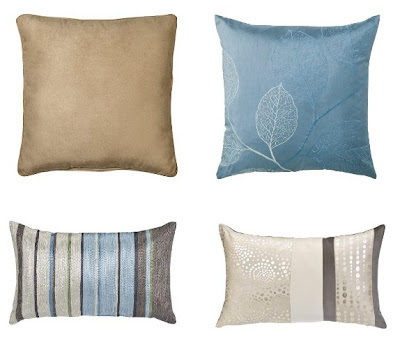 These are the pillows that made the cut. Fingers crossed they are all going to work together. I really like the pillows you chose---especially that silver one!